Vast clear blue water, schools of candy-colored fish and friendly turtles – I thought the first-day scuba diving on my Palau holiday was about perfect but perfect got better. On the way back to our hotel, the drone of the boat motor and a warm wind had me dozing but then I opened my eyes to an inland waterway unlike anything I could imagine. 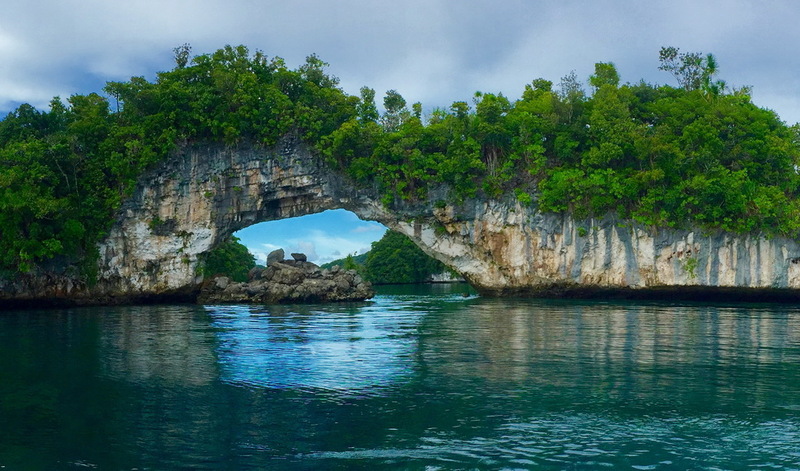 The Rock Islands of Palau’s Southern bay are a UNESCO World Heritage site for good reason. They are other-worldly, unique and endangered. Tufted rocks jut up from bright blue seas. Caves and arches invite boats to come close. There are few sandy beaches but captains know where to find them and since scuba diving or snorkeling Palau is so popular, the number of captains is regulated. There’s so much natural beauty to enjoy on a Palau holiday. Only ten of the 200 islands are inhabited. The remote chain is relatively close to Asia, which made it important strategically to the Germans and Japanese in World War 1 and 2. Now the island nation is a Presidential Republic and freely-associated with the USA. Trading beads were once the currency but it was easy to use US dollars on our Palau holiday. It’s now the official currency. While there is some commercial fishing and agriculture, the economy relies heavily on tourism. 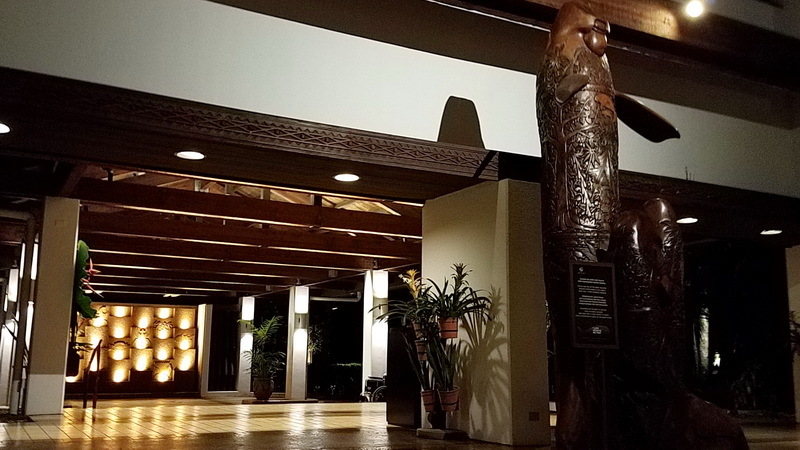 Our airport shuttle brought us through downtown Koror to the Palau Pacific Resort. It’s about as luxurious as they come. The next morning we took a boat to the town dock and checked out gear at Fish and Fins dive shop. The rest of the week unfolded into days of diving and exploring the passages of the spectacular Rock Islands. Between dives you have to allow inert gases to release and that means waiting topside for close to an hour before jumping back in. During decompression stops, we would have a boxed lunch on the boat but one afternoon the captain pulled up to a sandy, shaded beach. One season of the Survivor series was shot on the island but I didn’t have time to take the trail into the jungle to investigate film sites. There are still a few remnants – a handful of picnic tables, a fire pit, and a latrine. The island was beautiful with tropical birds, rock cliffs and a chance to watch other tourists who came in and out to visit the beautiful jungle spot and swim. Uulong is part of a responsible vacation as everything is packed in and out for visitors. 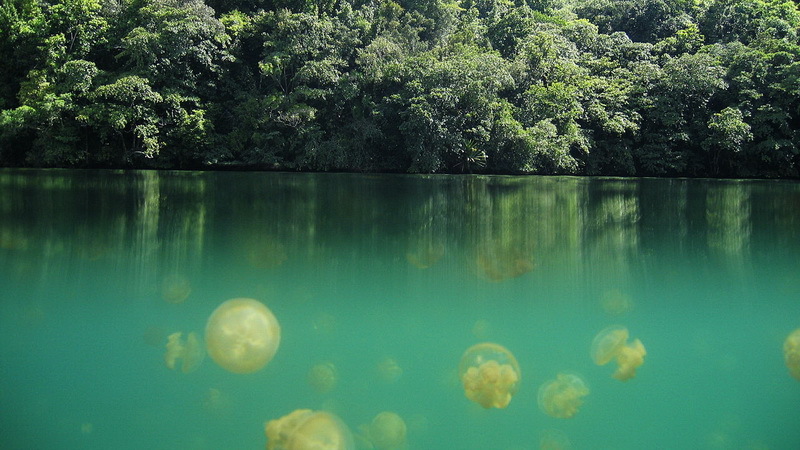 Once it was possible to swim with the strange, sting-less jellyfish trapped in Palau’s interior lakes but El Nino conditions over-heated the water, killing the most spectacular jellies. Once the landlocked jellyfish floated up from the depths to the surface. I so wanted to be in the water as they emerged around me but it’s not likely to happen in my lifetime. Today you can still hike around the lake but no swimming is allowed. After a few days of diving, we checked into the Garden Palace Hotel near the main street of Koror. 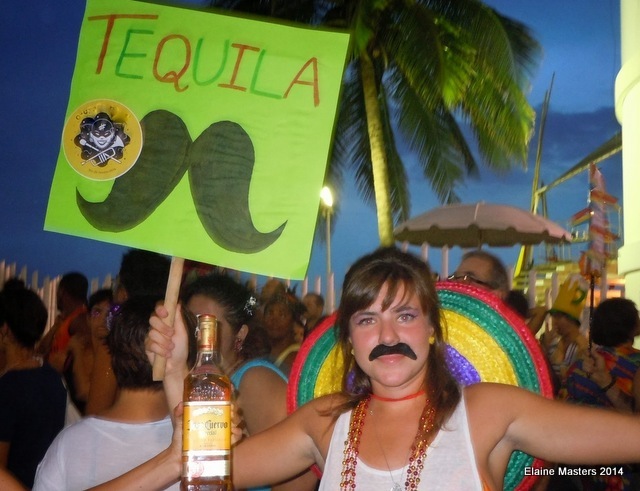 The goal was to get out of the resort bubble and dip into the culture. I definitely recommend the Belau National Museum which wasn’t far from our hotel but given the heat, I wasn’t comfortable walking. Surprisingly, the museum offers rides to guests on weekdays from 9 am to 5 pm. Large groups are shuttled depending on vehicle availability. 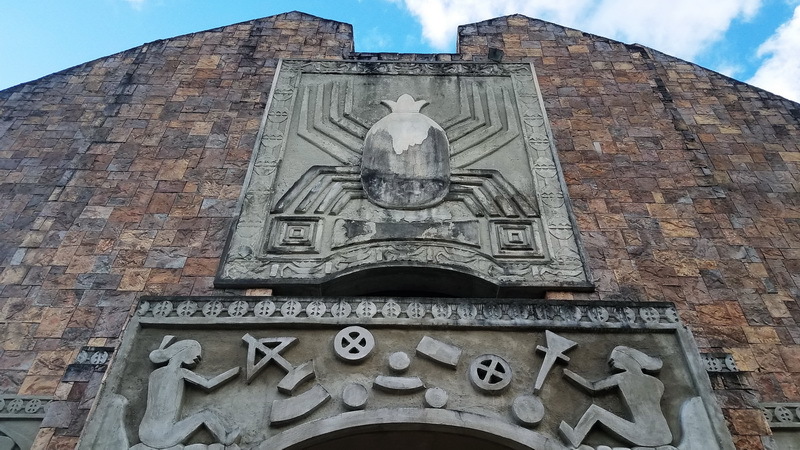 The museum is a cool refuge from the tropical heat with several floors full of information about the first German settlers, plus Spain, Japanese and US involvement. 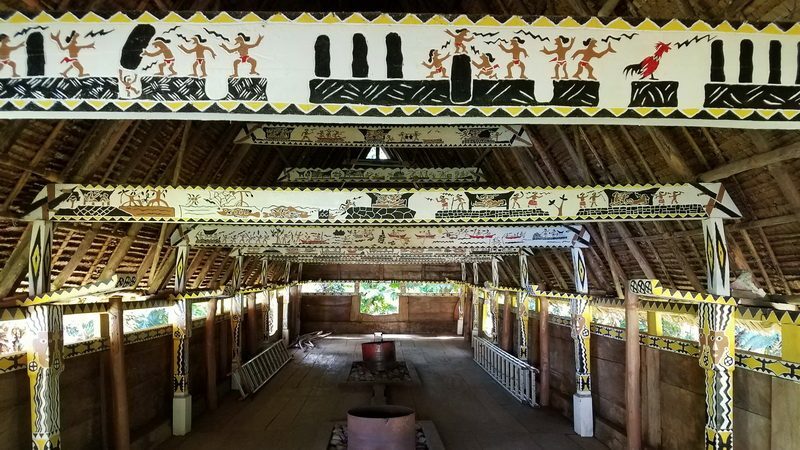 There are also displays of clothing and uniforms.The museum grounds host several Bai buildings, which are traditional meeting halls for the local chiefs. The beams and doorways are covered in intricate carvings that show legends and lessons in a horizontal sequence. I was fascinated by smaller storyboards with similar carvings inside the gift shop. Their story is also fascinating. In 1935, Hisakatsu Hijikata, a Japanese artist and ethnographer wanted to revive traditional carving which was in decline. His students adapted the ancient styles and today local artists have developed their own. In the 1960’s, a jail vocational program was offered to interested carvers. I found one of those small boards in the museum and it fit beautifully into my suitcase. It means much more to me than bringing home pirated shells or imported souvenirs. 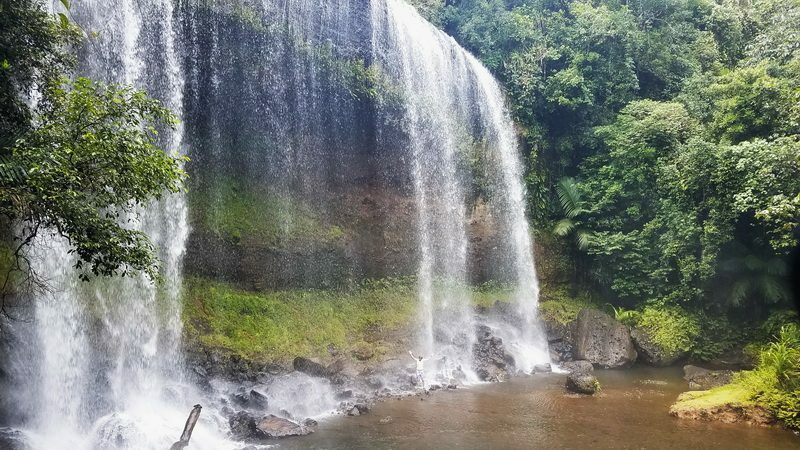 Ngardmau Waterfall – Can you spot my dive buddy in the cold water at the base?! We rented a car for one day (most have the steering wheel on the right side!) and took off to explore Babeldoab Island. 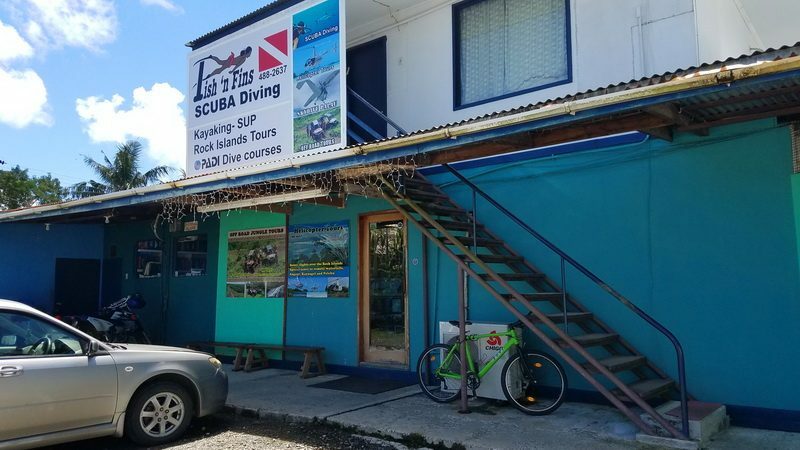 Our dive shop friend, Tova pointed us to one of the largest Bai buildings. Ngardmau waterfall trail delighted other friends. It was a treacherous hike in and out after an overnight rainstorm but given the right gear, the falls are worth seeing. At the far end of the road are ancient carvings similar to those on Easter Island and we marveled at the beautiful architecture of the Capital Building. The road around the island is well maintained and simple to drive. I recommend crossing into the interior to see more agriculture and village life. If you can take the time, find a guest house and make it an overnight trip. 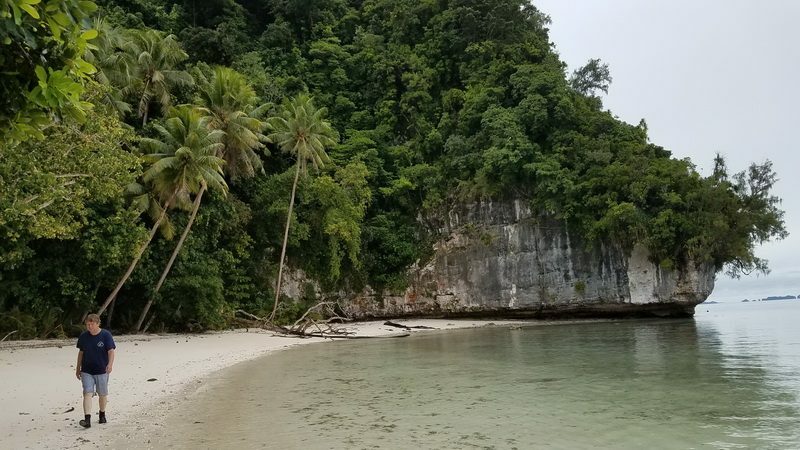 You can sign the pledge from your computer anywhere in the world and help save the island nation’s natural treasures for the children of Palau. This tiny island nation’s initiative will have a huge impact on other countries and help preserve the world for future generations. Hi Elaine. What an inspiring post. The island is beautiful and I love the way you’ve brought it to life. First time I’ve heard of Pilau. I just can’t imagine how the island copes with so many tourists. I respect them for taking care of their country! Thank you, Bola. Palau was just that, inspiring. I so hope their lead helps many other nations dealing with crowds of tourists. Wow this was quite an enlightening post. Thank you so much. You’ve really inspired me to visit one day, but in a responsible manner. Cheers! Thank you, Kristina. I’m so happy that the post resonated. It’s so sad about the overheating and what happened to the jellyfish. I imagine it must be an incredible sight when they all rise to the surface like that. The passport stamp crafted by children is such a sweet touch. I’m surprised at the high number of visitors and hope they’ll all do their best to dive responsibly and preserve the beautiful waters and coral reefs. Thanks, Erin. It is sad about the jellyfish and here’s hoping that the pledge does help. Thx for the terrific post about Palau, Elaine. It;’s the first thing I’ve ever read about this intriguing destination. Thanks, Doreen. It was such an honor to visit. I went with a small group for a birthday party! As a fellow scuba diver, I would love to visit Palau! It sounds like an amazing place. I didn’t realize the people were feeling overwhelmed by the amount of tourism they are receiving! It is such a remote location, in comparison to others, but glad they are making efforts to protect the environment. Palau is getting ready for an enormous influx of tourists from China in the coming years. If you go, go soon! Wow, I love this initiative. I think we must all take a leaf out of their book and pledge to practice some responsible tourism. No doubt it is a bit expensive but then in the long run, well worth it. The waters look amazing for a dive. And I like the whole cultural scene that accompanies it. Cheers to this place. Glad to hear you like the Pledge. Definitely a unique and beautiful nation. 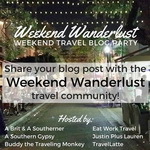 A really important post highlighting how important responsible travel is in preserving our planet and places that are not yet mass tourism sites but can easily find themselves oversaturated with visitors. Palau looks incredible and well worth the visit – so much natural beauty! Thanks. You got the message! Years ago I had a roommate from Palau and ever since then, I’ve wanted to visit. I didn’t realize they had so many tourists visit each year and I could see how that could easily get out of hand. I’m impressed that they have the pledge. 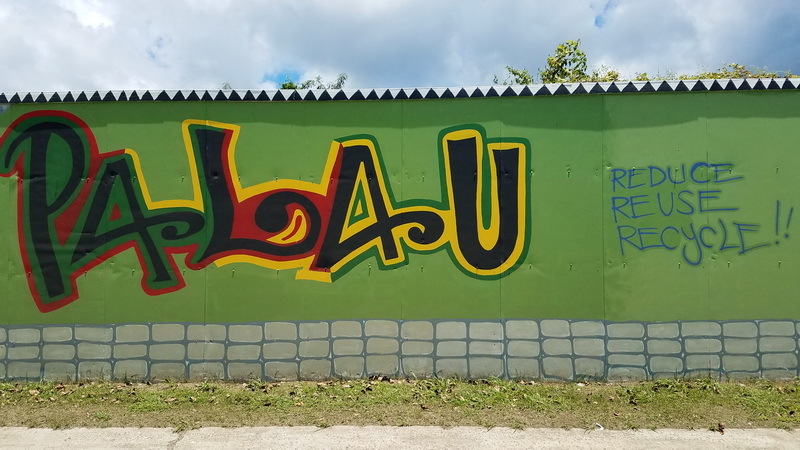 It’s an important message showing their love for the country and customs, and conveying to travelers they are welcome to experience all the islands have to offer but to also to be respectful. Sounds like you had a great time, and I enjoyed learning more about Palau. Palau has long been on my travel list, but it’s so far to travel and my spouse has no interest, so probably will never get there. Sounds like it is just as well as far as the island goes! I was surprised to see how many people make the trip – another fragile place with too many of us visiting. I’m surprised that the pledge is a big deal: are most travelers really so clueless that they would be in violation even without the threat of a fine? Wait – I know the answer to that having traveled in beautiful fragile places. Still, it says a lot that this is considered a major step. I can think of some other places that could use this, starting with the USA and Canadian national parks and every island in the Caribbean! The surprise is that most of the year it doesn’t feel over-crowded. I hope you get there one day. 🙁 I am really sad. I didn’t know you couldn’t swim with the jelly fish anymore. But not swimming with the ones who are still living is probably safer for them. But it is good as it means no hundreds of people are touching them and hurting them. 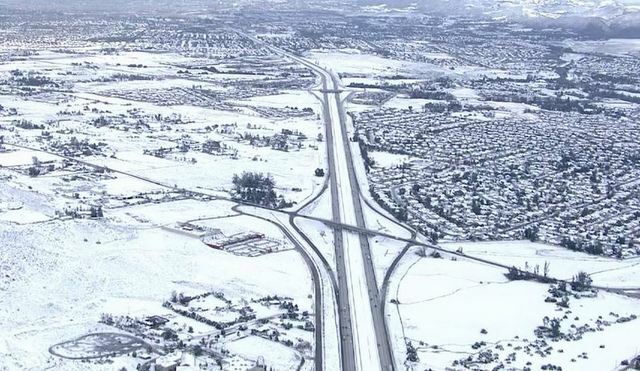 The warming trend overheated the lakes more than poor handling. Hopefully they’ll adapt and return soon. I haven’t heard of Palau, it is gorgeous!!! The landscape, the colorful fish, that waterfall — oh my gosh that waterfall! I don’t watch Survivor but it would e fun to check it out before traveling to Palau and searching out the filming spots. It’s an incredible place full of culture and natural wonders. Your first image is heart touching. This place looks divine – everything is so clear and pristine there. Would love to travel to this place some day for Snorkeling and Scuba Diving and for sure I believe in responsible tourism. Good that they have certified diving center. Sad that we cannot swim with Jellyfish any more. Thank you. It was a wonderful gift to be able to visit. I hope you get there one day. I am completely with you on the Responsible Tourism. It is so damn important. The Palau looks like a paradise and the heavy influx of tourist surely is a danger to the place. Those jellyfishes are so beautiful. 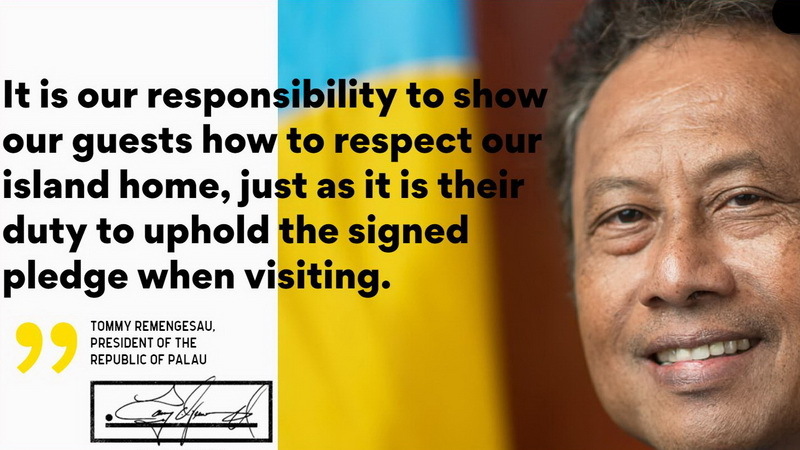 I am impressed by The Palau Pledge and wish everyone to learn and respect it. Here’s hoping the pledge is adapted around the world as well. I only had to read the first few sentences to get hooked. We would definitely want to scuba dive in Palua. Your shots underwater and along the shore had me sighing. I am glad they are taking actions to try to protect the islands before there is no point of return. It was sad to read that the jelly fish lake no longer has jelly fish. We would definitely be taking the pledge. I am sur that Ngardmau falls are beautiful but I am not up for a treacherous hike in. Thanks for sharing this piece of paradise and the efforts to save it. Thank you, Linda. It’s well worth the long journey to get there. The pledge taking concept is so good. I wish every tourist destination followed this. Each of those instructions makes sense and worth following. Great pics of the marine world. Wouldn’t it be wonderful if every country had a similar pledge. Better yet if the pledge wasn’t necessary. Palau sounds incredibly beautiful and dreamy. The perfect escape. I love it when a holiday gets better and better as each day goes past. The diving looks amazing and I can see why the Rock Islands of Palau’s southern bay are a UNESCO World Heritage site, they are stunning. With a population of 20K and a visitor influx of 160K that is going to make one hell of an impact. 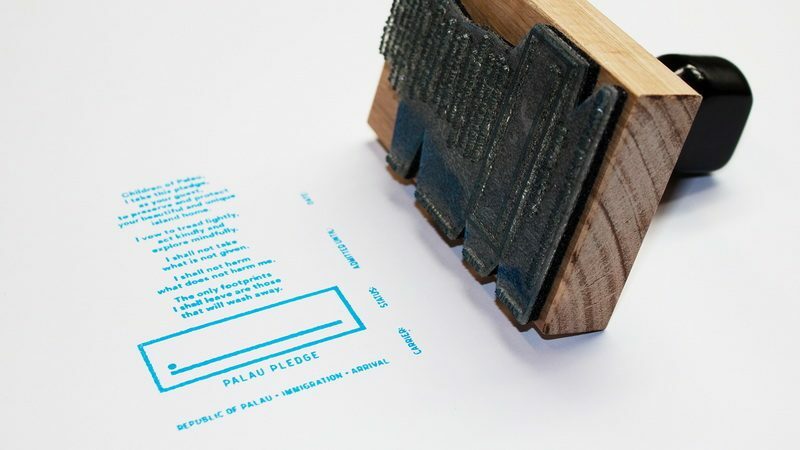 Think the Palau pledge is a brilliant idea to hold tourists accountable. They are all things that you would think people would not do. So sad that some tourists have to be reminded on how to act like a responsible human being. It’s truly amazing to me too that we need reminders to take care of the places we visit but there are cultural and language differences that I’m sure I don’t understand. I absolutely love this post! I have not had an opportunity to travel to any Pacific islands yet, but they are all on my list. I worry so much about how climate change is and will affect those islands. I believe that we should all be responsible travelers, so thank you so much for giving us a list of examples of things not to do. We should all be a bit more mindful in hopes of preserving islands like Palau. Thanks so much, Sarah. 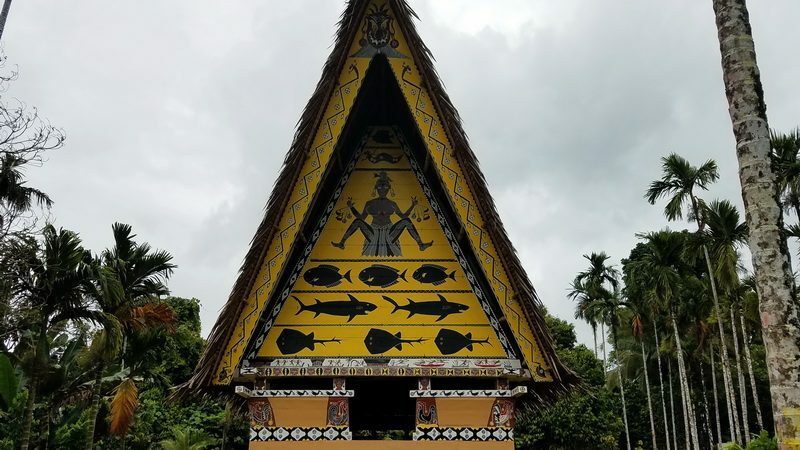 I’ve been waiting for the right time to share about my visit to Palau and when I heard about the pledge, knew this was it. 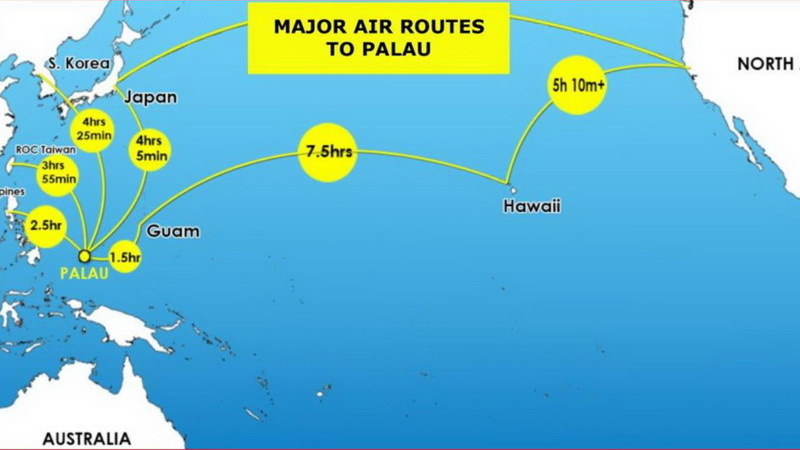 If only Palau was not so far from where I live, thus making it extremely expensive and inaccessible! 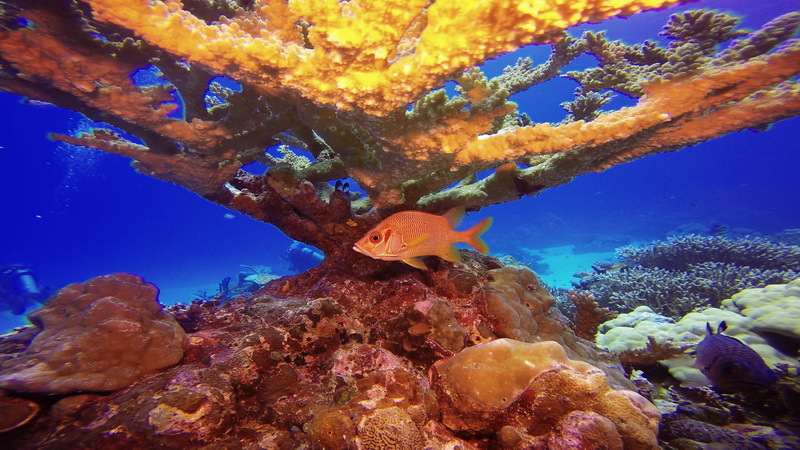 It looks gorgeous, the colourful fish, the turtles, pristine beaches and the lovely waters. I did my first ever scuba dive recently in Palawan and it was a wonderful experience and I am pretty sure if I were to make it to Palau, I’d love it as much! Thank you for all the tips on how one can be environmentally conscious! Palawan is wonderful too! I loved visiting the Philippines and would love to return. Aren’t we blessed? Palau looks like a slice of paradise and so beautiful. Like many other places Palau seems to bear the cross of its own beauty. The heavy influx of tourists does take its toll and this is a concern with so many destinations around the world. I was really impressed and fascinated by the concept of the Palau Pledge. This is so welcome and a step in the right direction, I hope other destinations facing similar issues take a leaf from here. Thanks for the kind comments. 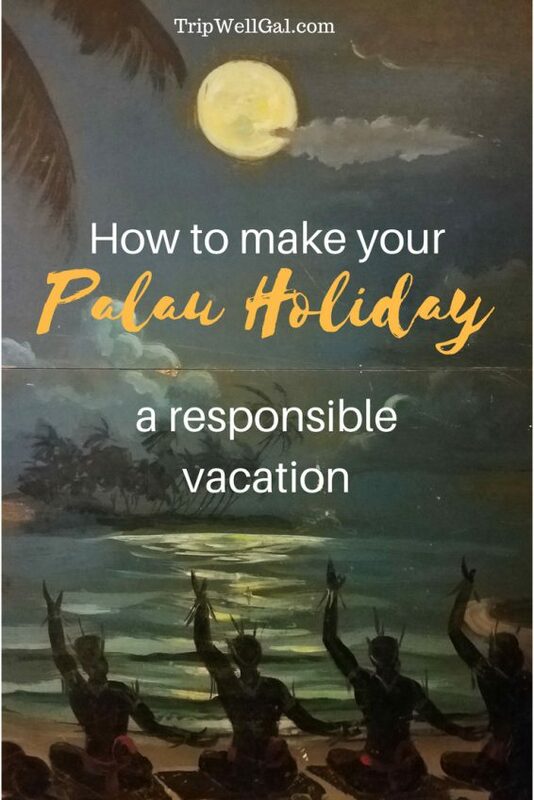 I think that Palau is onto something and hope they inspire other countries and travelers. Reef safe sunscreens would be a great addition! Thanks. 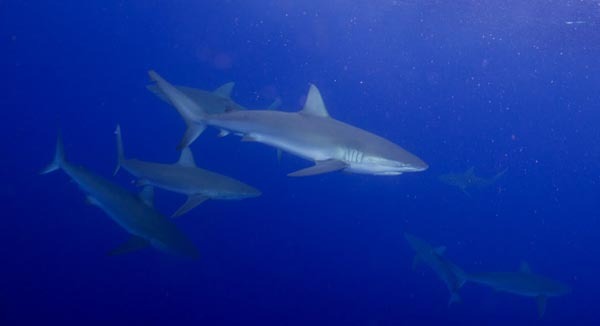 Visiting Palau is just not easy! If I hadn’t been invited to a 91-year-old’s birthday party it would never have happened! 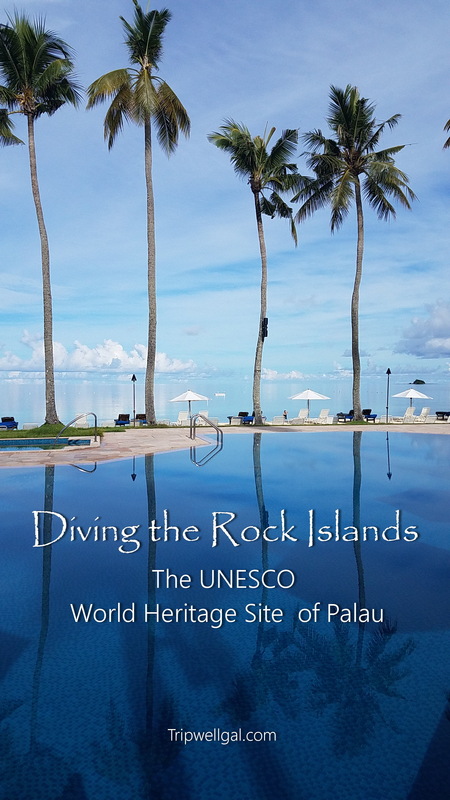 What a beautiful story about Palau, a place I had never heard of! Its very true, when ever you visit a foreign country always respect their rules and culture. I love the waterfall photo too! Thanks, Stacey. There’s so much more to see too! Video coming.